Versatile defender Ryan Exon and driven midfielder Nick Mellington have been awarded the Brad Nimmo Award for runner-up and Vin Taranto award for third-place respectively, at Friday’s annual Best & Fairest Count. While the pair may have fallen short of taking home their first Jim Sullivan Medals on Friday night at Aurora Receptions, their 2018 seasons were definitely ones to celebrate. 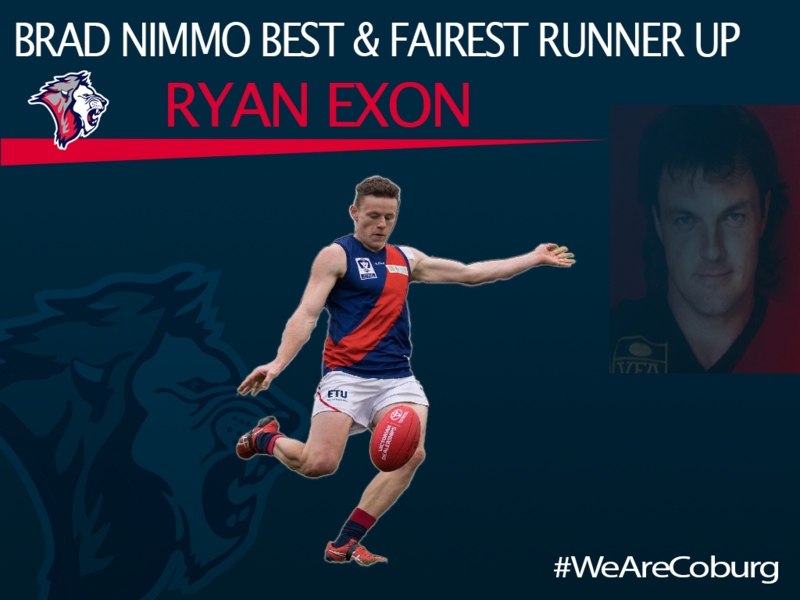 This is the second consecutive year that Exon, 24, has finished runner-up in the count; polling 95 votes from his 17 games. 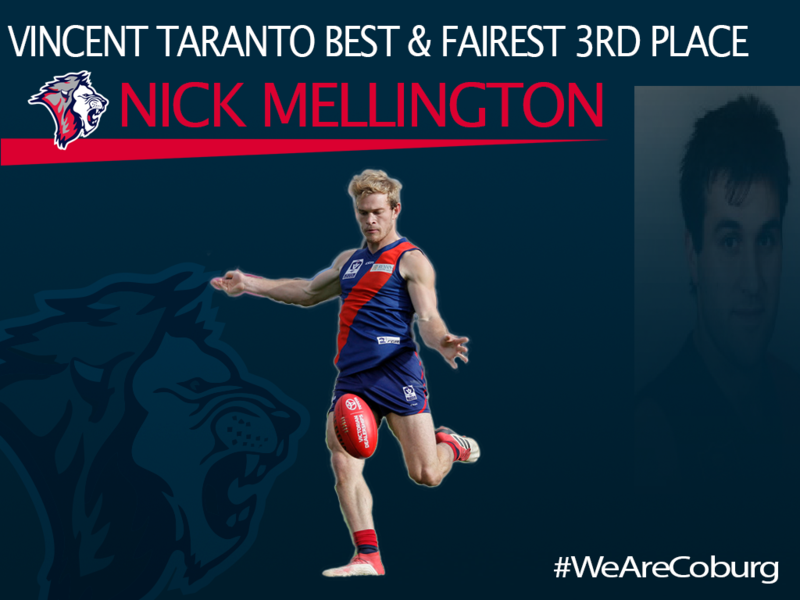 Averaging 16 possessions and three tackles per match, he constantly led by example from the backline as one of Coburg’s more experienced players. A former VFL Hawk and Dolphin, Exon became a Lion last year and has backed up his debut season with another consistent spell. Vice-captain Mellington, 22, polled 84 votes from his 17 games, missing just the one match due to suspension. Since joining from Richmond VFL last year, Mellington has become one of the most impactful Lions, as proven by being named in the 2017 and 2018 leadership groups. He averaged 20 disposals, 11 contested possessions and six tackles a match this season, improving his standing from last year’s count where he finished 8th. 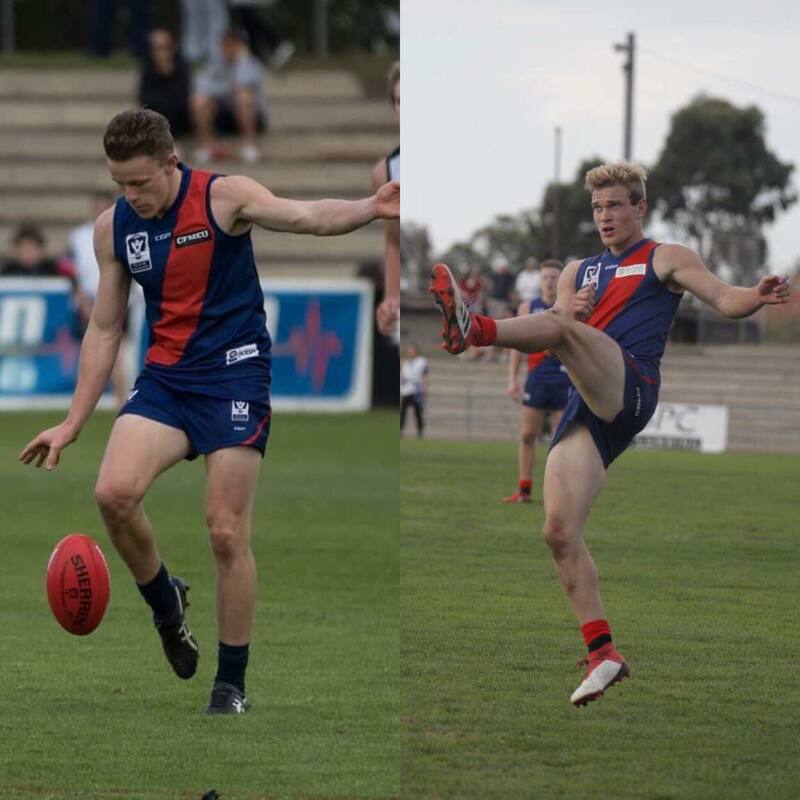 The Coburg Football Club congratulates Ryan and Nick for their awards and for their consistent efforts this season!